Over Thanksgiving, we visited Big Bend National park. It was our first time visiting this desert beauty. Like other national parks, we only scratched the surface of what the park has to offer on this short visit. Big Bend was named after the “big bend” of the Rio Grande river. Because of the parks climate, fall and spring are popular times to visit the park. Big Bend National park is one of the least visited parks, with a little over 350,000 visitors a year. During our visit, it seemed like most of those visitors came to the park during Thanksgiving week. We arrived at Big Bend early Thursday morning (Thanksgiving Day). We spent the previous night at Alpine, Texas, which is about 80 miles north of the parks entrance. We had a campsite booked outside the park, but I really wanted to camp inside the park. That meant waking up early (5:30) to get out early and try and snag a walkup site. It was a foggy morning, so I had to drive a slower than usual. Our excitement built when we saw the entrance to the park. There were no rangers at the entrance yet (we paid at a visitor center later), and we continued toward the Chisos Basin campsite. There are three campsites at the park as well as a number of back country sites. 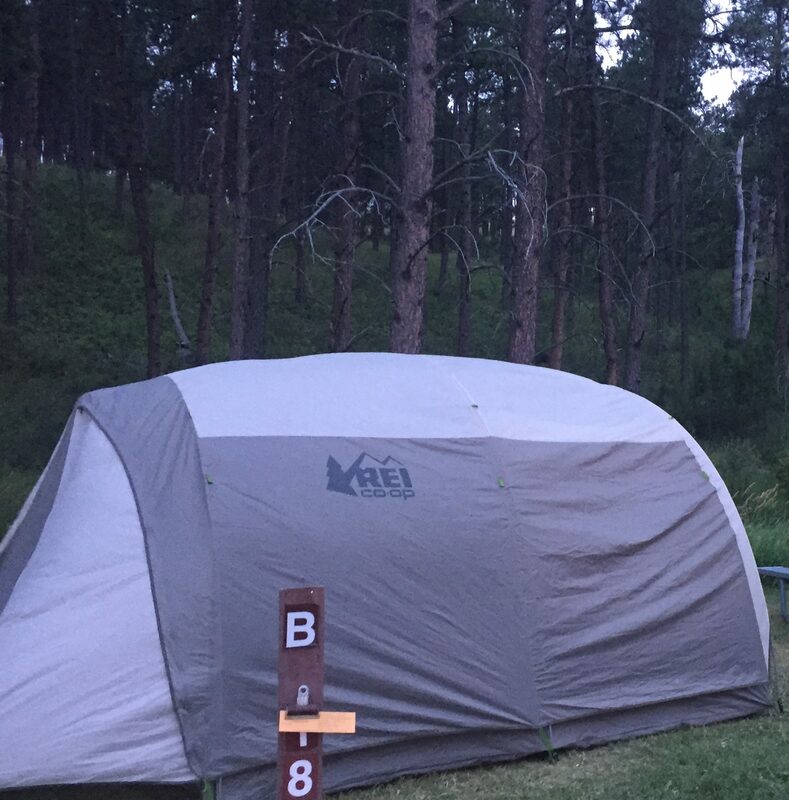 During the busy season, not only is it difficult to book a campsite at the park but permits for backcountry camping can run out as well. After some discussion the night before, we decided we would try our luck at the Chisos Basin campsite. Within Big Bend National park is the Chisos Mountains, the only park that contains an entire mountain range within its borders. It’s centrally located in the park. It was close, but we were able to snag a campsite at the park. I would have preferred to have reserved one ahead of time, but we had only decided to make the trip a month ahead. The campsite is located near the Chisos Lodge, which is the only hotel at the park. There’s a visitor center, camp store and restaurant. After setting up camp, we backtracked the way we came and parked at the Lost Mines Trailhead. Lost Mines is a popular trail in the Chisos Mountain region of the park. It’s almost 5 miles round trip. Along the way to the top are breathtaking views. You are walking uphill, but I’d say it’s only moderately strenuous. Also, even if you don’t hike all the way to the end and only go halfway up, you are still treated to some amazing views. After our hike, we went to the Panther Junction, filled up gas, and paid our entrance fee to the park. We were hungry for lunch and figuring out a good place to eat our picnic lunch before the last hike of the day. We decided to go ahead and towards our last hike of the day, Santa Elena Canyon. Located in the Southwest region of the park, the Rio Grande River flows between the high canyon cliffs, creating the natural border between Mexico and the United States. The trail is by the river on the US side. Shortly before arriving at the parking lot for the trailhead, we pulled into historic Castalon. There is a visitor center there. The adobe building at from the early 20th centuries. You can see older ruins of buildings there as well. I had cooked taco meat at home earlier. We took out our camp stove, heated up the meat and enjoyed hot tacos. We were hungry and the weather was cold. The tacos felt amazing to eat. After we had eaten our fill, looked at the old buildings and took a bathroom break, we heading down to Santa Elena Canyon. So, I’m burying the lead in this post, but the Santa Elena Canyon was one of the highlights of the trip. To reach the trailhead, you have to cross an offshoot of the Rio Grande. The day we went, the water was knee deep and cold! We took our shoes and socks off and rolled up our pant legs. My teenager carried his brother. When I stepped into the water and began walking, I felt the sharp pebbles beneath my feet. Once you get to the other side, you have to pull yourself up to the bank. There is a rope you can use. They was a large group ahead of us and I just about died, standing in the icy cold water with sharp pebbles as I waited my turn. Once we crossed though, it was totally worth it. The trail is lined with large grasses and plants. The high canyon cliffs was beautiful. There is a bit of an incline, but the trail is pretty easy. Of course, you have to cross that water on the way back! As you look across the river, you see the cliff on the other side and realize that you are looking at Mexico. Nature doesn’t have borders. After the hike, we cleaned up by the car and headed back to the campground. The sun was setting and it was dark by the time we got back to the campsite. We decided to get our tent ready for the night with our bedding. I didn’t feel like cooking in the dark so we decided to eat dinner that the Chisos Lodge. They had a Thanksgiving buffet that night and it was a welcome treat after a long day of hiking. The buffet was pretty basic Thanksgiving food, but pretty decent. The kids really enjoyed the dessert. By the time we were done, it was about 9pm. I turned in with the two younger ones, while my teenager and hubby stayed up for a bit enjoying the famous big bend night sky. We still had another full day and another part of the park to explore.